Skateboarding. Snow. New Zealand. What more is there to say? All combined, they made a recipe for an epic trip. Somewhere deep inside the walls of the Volcom HQ the idea was born to think of a place where Skateboarding, Snowboarding, and Surfing can all come together. With that in mind, we set off for two weeks to head to Auckland, NZ to hit the streets and meet up with our fellow board brethren for a little pow pow action. Featuring Axel Cruysberghs, CJ Collins, Jackson Pilz, Jesse “Red” Noonan, and Arto Saari. We got in around 7 in the morning after a long 13 hour flight and as soon as we walked through the doors our Ozzie mates were up and at em ready to explore. Skateboarders up at 7am ready to go? A very strange phenomena but luckily the time change played in our favor and we were out and about bright and early every morning. Downtown Auckland was loaded with spots. The boys were all amped from their flat whites and long blacks (NZ for “coffee”) and were on an all-out rampage through the bustling metropolis. 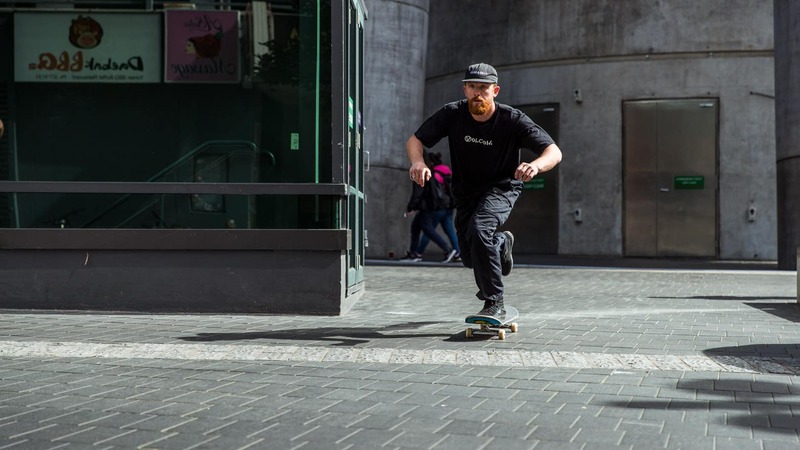 Axel managed to swing a nice little wallie 180 while dodging cars and some, let’s just say, interesting people. Quickly after, Red got gnarly and barged through with a fs wallride yank out. The session was immediately followed with the obligatory meat pie stop. After hitting a few spots we arrived at an undisclosed backyard pool. We were super lucky to skate it according to a couple of the local bros. You know who you are and thanks for letting us come! The session started heating up after a few cold beverages and next thing you know the jacuzzi cover was getting taken out. Our OZ legend, Red, was brave enough to step to the jacuzzi grind. “I’m more of an Evil Kinevil kind of skater”, although the steezy crail among other tricks begged to differ. First to take a dip: the board. Then a shoe. Then Red. Soaking wet he pulled it off with a nose yank-in to boot. Little CJ took advantage of the photo op and blasted a couple FSO’s. He got a little brave with a front feeble poked out and came inches away from Red’s face while he was enjoying a soak and a beverage (not pictured). Huge props to our Kiwi friends and their hospitality. Skate, Surf and Snow unite! After stacking clips for almost week it was time to meet our bros in the mountain town of Wanaka. It’s very rare that all three teams come together as one. We had everyone from an Olympian: Torgeir Bergrem, a Skate Legend: Arto Saari, and Life Legend: Red. Jackson touched snow for the first time at 27 years old and even took a few laps. 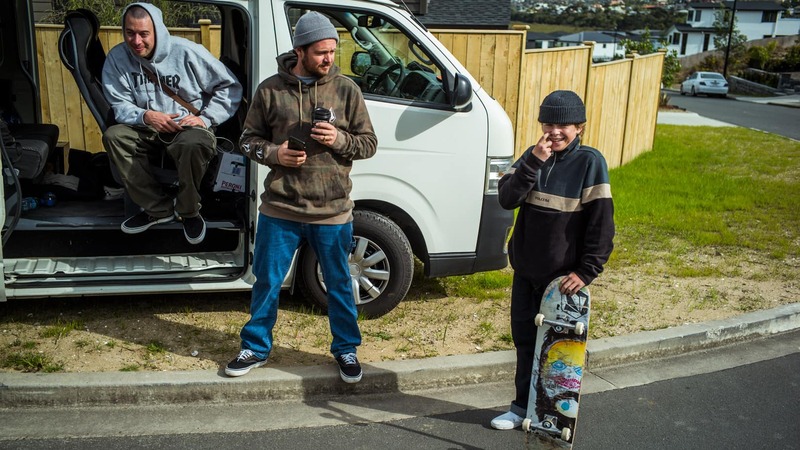 Ozzy Wright was handling some smooth layback carves and Axel was ripping the half pipe like he was there with the snow team – kid is good at everything. All in and all one for the books. Our nice little mid-summer / Kiwi winter getaway was a nice break from the Southern California heat.